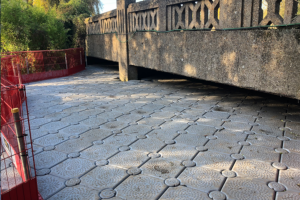 Access for bridge inspection and repair is arguably where our modular pontoons are best employed. 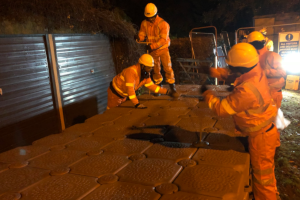 They provide a safe, stable working platform from which the required works can take place. 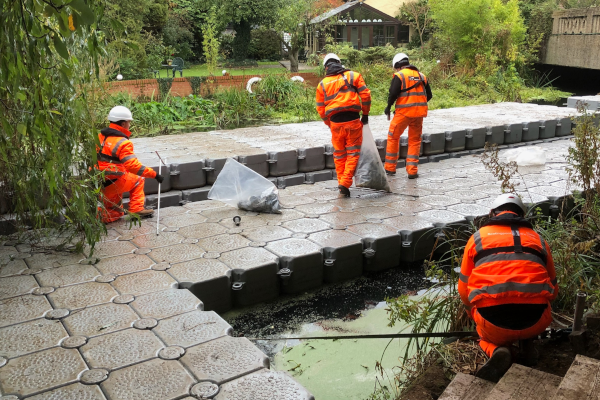 At the same time they can also be used to prevent any debris entering the water and potentially polluting the watercourse. That’s exactly what we’ve just finished installing in Essex. 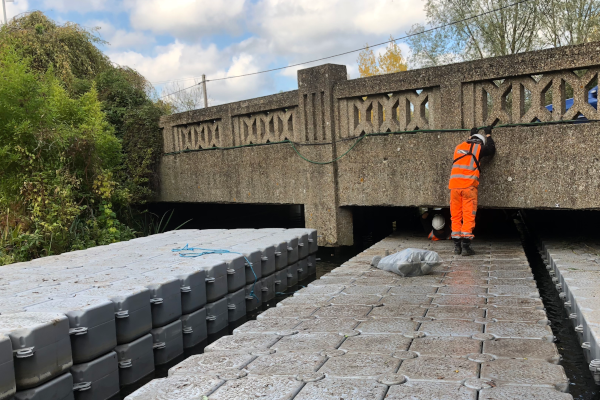 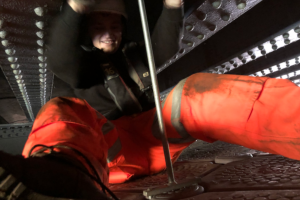 Our client has been tasked with cleaning, repairing and repainting the underside of a road bridge crossing the river Blackwater in Essex, the road in question is a busy ‘A’ road which brings about its own challenges. 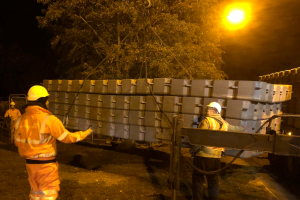 Delivery of the pontoons had to take place outside of peak traffic hours which meant delivery occurring within a traffic management system after 8 o’clock in the evening. 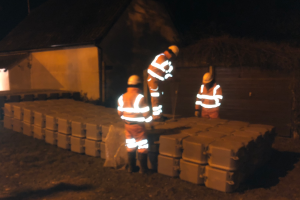 Due to the quantity of pontoon required and the limited lay down area available delivery occurred over 3 consecutive evenings. Pontoons were delivered in the evening, with the build of that pontoon occurring the following morning and then another delivery happening that evening. Once the pontoons were onsite and launched onto the water, the next challenge faced was that the distance between water level and the underside of the bridge. 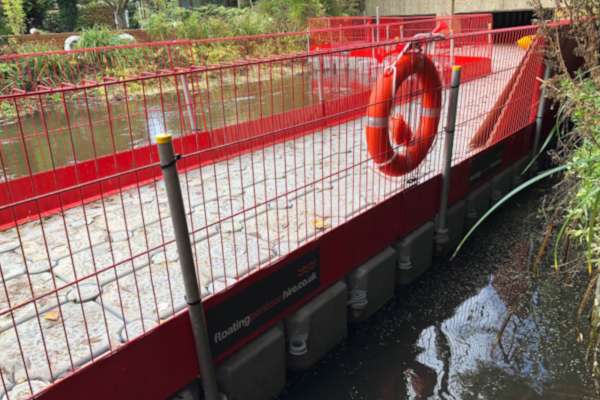 The gap measured at approximately 700 mm, bearing in mind our pontoons have a dry height of 370 mm it didn’t leave a lot of room for access. 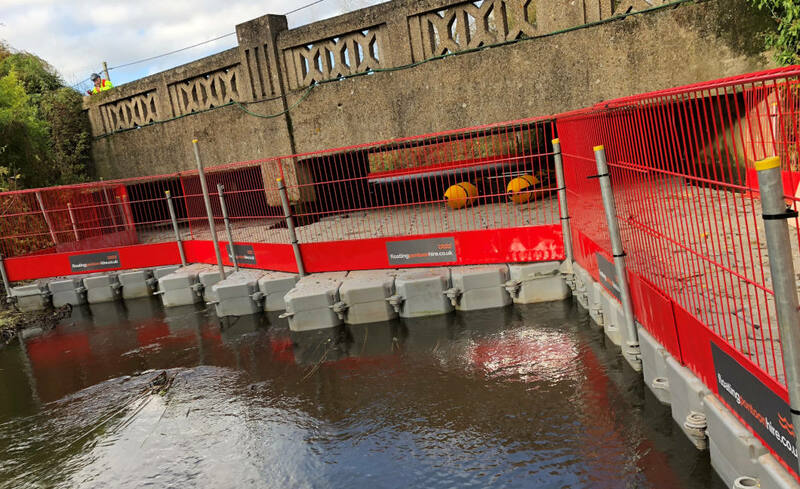 As a result, for the most part the pontoons were constructed away from the bridge and then floated into position. Ultimately it wasn’t possible to undertake all of the prep outside the bridges so using shorter hand tools specially made for the job the boys ventured under the bridge and cracked on with putting it all together. 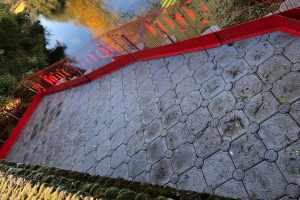 As the images show the pontoon was installed and Combisafe edge protection (featuring our new branding) was installed and the pontoon was signed over to the client for use. 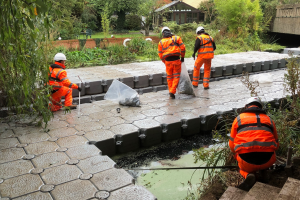 Prior to starting the work the client is going to install a protective floor to ensure no debris can escape between the pontoon modules. As with all our jobs we remain on call 24 hours a day in event of emergency and given the small gap between pontoon and deck a flood response plan is in place to ensure everyone is fully aware of what happens if water levels begin to rise.